Herbana.eu - Online store with herbal and natural products. HOME PHARMACY WITH NATURAL, HERBAL AND RELATED PRODUCTS. 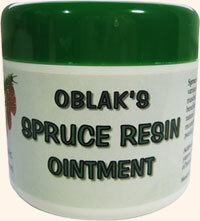 Oblak's spruce resin salve can be also found in some pharmacies and herbal stores in Europe!